Do our dogs love us? It's a question all dog owners say they know the answer to, but Emory University neuroscientist Gregory Berns is trying to prove it by training dogs to get in an MRI and scanning their brains. A skinny black terrier mix, named Callie, steps into an MRI wearing earmuffs, places her head in a custom-fitted chin rest and holds completely still. The rescue dog belongs to neuroeconomics professor Gregory Berns at Emory University, who, along with his colleagues, has trained a dozen dogs to lie down in an MRI scanner awake and unrestrained as a part of a study to determine how dogs’ brains work. The study is attempting to measure a dog’s brain response to hand signals and also map which part of a dog’s brain can distinguish the scents of familiar and unfamiliar dogs and humans. Not all the results of the study have been published, but the tests, Berns wrote in The New York Times, found that there was increased brain activity when the researchers gave hand signals related to food, when smells of familiar humans were introduced and when owners returned into the view after stepping out of sight. 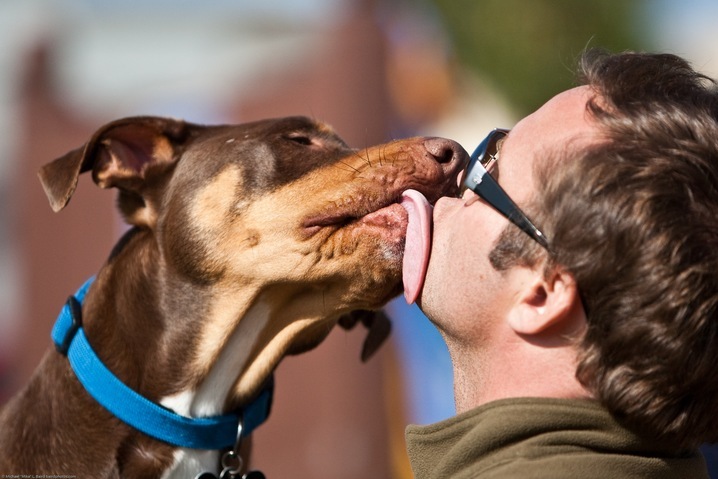 Berns also said that the initial results suggest a possible indication of canine emotions. Something many dog owners already know. 5 ways to test a dog your dogs loyalty to you without an MRI. We have met many dogs that do not display a balanced behaviour even inside of their owners home where everything should be safe.